We want Brian Rudolph to be reinstated as Head Coach of the NBHS Boy's Varsity Basketball Team. Unfortunately due to a miscommunication and a misunderstanding of an MIAA rule Brian Rudolph will not be coaching New Bedford High School Basketball this year. It's an absolute shame that an honest mistake from a first time offender has resulted in a year suspension. Especially when the "mistake" involves using a Basketball to IMPROVE the skills of student athletes while keeping them off the STREETS and wasn't done in SECRECY. Brian started as a Volunteer coach for NBHS from 2012-2014, served as the JV coach from 2015-2016 and this past season he finally got an opportunity as Head Coach. The 2017-2018 Basketball Season was some of the best times of his life. His goal was to CHANGE THE CULTURE and that's what he did. His team turned a 4-16 team to a 16-6 State tournament team. They brought students who had left New Bedford High School back. They brought alumni back. They brought the press back. They brought a positive energy to the city through BASKETBALL. However the biggest success and memory of Brian's 1st season wasn't on the basketball court. It was watching all 9 of his seniors mature from young teens to young men and graduate from high school. 8 of these seniors are now in college. For him that is more gratifying than any win! 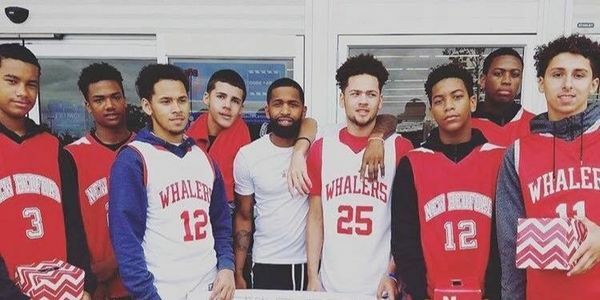 Sign this petition to help Brian Rudolph retain his position as the New Bedford High School Varsity Basketball Coach.